Qigong is designed to cultivate strength of body and calmness of mind through Taoist practices that integrate movement, breath, and qi, or internal energy, to promote health and longevity. A form of gentle, relaxing exercise, qigong strengthens joints, muscles, tendons, and bones, increases flexibility, stimulates the circulation of energy in our body, and enhances mental clarity. Qigong is also an excellent way to gently introduce mobility and relaxation to persons who have physical challenges. Talks on qigong, Chinese medicine and Taoism will be included. This intensive is a rare opportunity to receive instruction in two unique qigong lineages, the Pre-Celestial Limitless Gate School (Xiantianwujimen) and the Yiquan School. Xiantianwujimen was founded in the Song dynasty (circa 10th to 12th centuries) by Daoist sage Chen Xiyi, who is recognized as "the father of qigong." This is through the lineage handed down by Dr. Eva Wong. 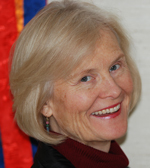 Acharya Suzann Duquette has received the transmissions from Dr. Eva Wong. Hua Tu's Five Animals Calisthenics and tendon-changing Techniques. The five animal forms covered are: tiger, bear, deer, monkey, and bird. The tiger form trains tendon strength, the bear form trains bone strength, the deer form focuses on preserving generative energy, the monkey form trains agility, and the bird form trains balance. Part 1 of Chen Xiyi's Red Phoenix Calisthenics System. This system combines tendon-changing, calisthenics, self-massage, and breath regulation. More standing qigong postures from Wang Xiangzhai's Yiquan System. Registration will be April 24, 2019, from 3:30pm - 6:30pm. Dinner is at 6:30pm, and the program begins at 7:30pm. The program ends on April 26, at 6:00pm. Traditional Chinese Qigong: Levels 1 - 2. Students attending Level 3 are expected to commit to attending Level 4 now or in the future in order to complete the entire 47 postures of the Red Phoenix Calisthenics System.